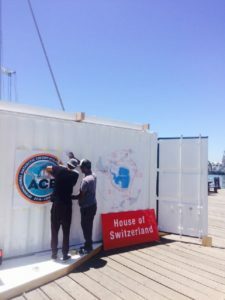 An exhibition about the soon-to-depart Antarctic Circumnavigation Expedition (ACE) was taking shape at the V&A Waterfront on Wednesday in preparation for its opening on Thursday morning. Visitors to the House of Switzerland exhibition, celebrating the three-month expedition, will get a preview of how this Swiss-funded expedition will expand knowledge about the largely unknown region that plays a crucial role in regulating the world’s climate. The exhibition – which is next to the Swing Bridge at the V&A – will run until December 20, the day the expedition sets off from Cape Town. ACE is composed of 22 projects and brings together research teams from six continents. 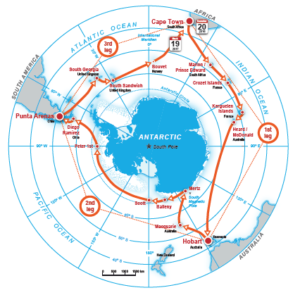 The projects focus on different areas of study, all of which are fundamental for a better understanding of Antarctica’s ecosystems. 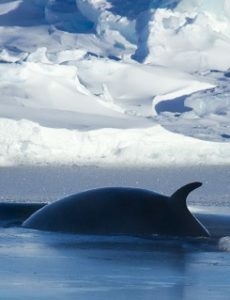 The projects, which were chosen from more than 100 submissions, include mapping and monitoring threatened species such as Southern Ocean whales, albatrosses and penguins, a study into what happens after the ‘calving’ of a giant iceberg and another designed to uncover the mystery of the ocean’s ‘false bottom’. 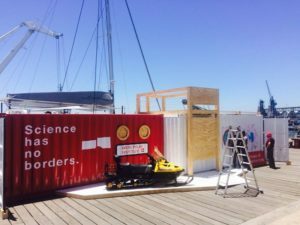 The House of Switzerland exhibition, which is being assembled in containers at the V&A, will give visitors a glimpse of the work – from biology to climatology to oceanography – to be undertaken by 50 scientists as they circumnavigate Antarctica on the Russian research vessel, the Akademik Treshnikov. The exhibition, which is free to members of the public, will also showcase the Swiss spirit of innovation and Switzerland’s contribution to polar research. The Akademik Treshnikov arrives in Cape Town on Thursday carrying 50 young scientists from around the world who will have attended an onboard university for a month. They were selected to take part in the ACE Maritime University, which has been conducted under the auspices of the Russian Geographic Society on board the vessel since departure from Bremerhaven in Germany on November 19. In addition to the House of Switzerland exhibition, various cultural events will be held during the weekend of December 17 and 18 to celebrate the expedition. One highly anticipated event is a concert by the Alphorn artist Eliana Burki, who is known for having developed the concept “funky Swiss Alphorn”, at 6.30pm on Saturday 17 next to the House of Switzerland. 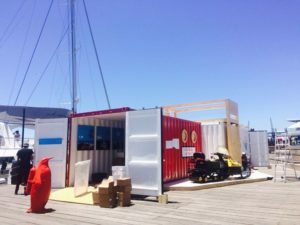 December 9: A cohort of 50 leading scientists from around the world will set off from Cape Town on a Russian vessel just before Christmas to circumnavigate Antarctica in a groundbreaking mission to explore the unexplored continent. 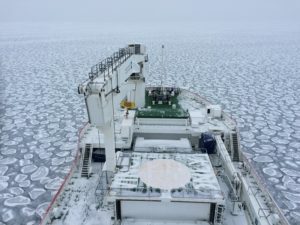 The Antarctic Circumnavigation Expedition (ACE), which is set to dramatically expand mankind’s knowledge about this key region, is being undertaken by scientists whose projects were chosen from more than 100 submissions. The Swiss-funded ACE is composed of 22 different projects, bringing together research teams from six continents. They focus on different areas of study, all fundamental for a better understanding of Antarctica’s ecosystems. An open call for proposals was launched at the end of 2015 and more than 100 projects were submitted. An international panel of experts selected the projects according to criteria of scientific excellence. The process was conducted with the help of the polar-research institutions in ACE partner countries, including South Africa, Australia, Norway, the United Kingdom, France, Switzerland and the Russian Federation. 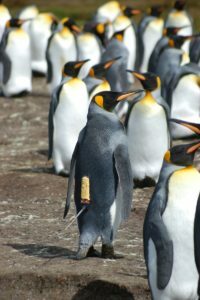 Projects include mapping and monitoring threatened species such as Southern Ocean whales, albatrosses and penguins, a study into what happens after the “calving” of a giant iceberg and another designed to uncover the mystery of the ocean’s “false bottom”. The organisers say a better understanding of Antarctica is critical, not just for its preservation, but for the whole planet. The poles, which are affected by climate change more than any other region on Earth, play a central role in regulating the world’s climate. The Southern Ocean stores more heat and carbon dioxide than any other ocean region and in many ways is the earth’s most pristine region. But as much as it is untouched it is unknown. A number of the projects to be conducted during the three-month circumnavigation are designed to test reactions and interactions in pristine conditions, which is normally very challenging because there are hardly any places left on Earth with conditions similar to the preindustrial age. Capetonians will have a chance to learn more about this expedition during the five days before it sets off on the Akademik Treshnikov on December 20. An exhibition, the “House of Switzerland”, will showcase the ACE expedition as well as the Swiss spirit of innovation and Switzerland’s contribution to polar research. The exhibition will give visitors a glimpse of the work – from biology to climatology to oceanography – to be undertaken. Visitors to the House of Switzerland exhibition will get a preview of how this expedition will expand knowledge about this key region. Various cultural events will be held during the weekend of December 17 and 18 to celebrate the launch of the expedition, the importance of which can hardly be overstated. One highly anticipated event is a concert by the Alphorn artist Eliana Burki at 6.30pm on Saturday 17 next to the House of Switzerland. There will also be opportunities to engage with some of the scientists as they gather in Cape Town to join the Russian research vessel, which arrives on December 15. There will be a public exchange with researchers in the V&A Amphitheatre at noon on both Saturday 17 and Sunday 18 December. Celebrations will launch on the arrival in Cape Town on December 15 of the Akademik Treshnikov, which is carrying 50 young scientists from around the world who will have attended an onboard university for a month. They were selected to take part in the ACE Maritime University, which has been conducted under the auspices of the Russian Geographic Society on board the vessel since its departure from Bremerhaven in Germany on November 19. At the scientific level, South Africa will be very present in the expedition. One of the ACE projects, which will focus on nutrient cycling and microbial diversity, will be co-ordinated by Professor Sarah Fawcett of UCT. There will also be ACE-related research activities at Rhodes University, Stellenbosch University, the University of Pretoria, CSIR, the University of Cape Town, the Nelson Mandela Metropolitan University, the Department of Environmental Affairs and the Cape Peninsula University of Technology. Project ACE has been created with the support of Ferring Pharmaceuticals and contributions from the Swiss Polar Institute, which was founded by leading Swiss research institutions (EPFL, WSL, the Swiss Institute of Forest, Snow and Landscape Research, ETH Zurich and the University of Bern) and Editions Paulsen. The expedition was initiated and sponsored by leading industrialist and philanthropist, Dr Frederik Paulsen, who has a well-established track record in polar exploration. Partner organisations contributing to the project include: the Swiss Polar Institute; the Australian Antarctic Division; France’s Institut Paul Emile Victor, IPEV; the Norwegian Polar Institute, NPI; Russia’s Arctic and Antarctic Research Institute, AARI; the University of Cape Town, the South African National Antarctic Programme, SANAP and the British Antarctic Survey, BAS.